ItemD-01932 - The tug Smuggler at Nakusp. ItemB-04010 - "Spokane ashore"; the SS Spokane aground at Idol Point, Dufferin Island. ItemB-04017 - The SS Spokan aground at Idol Point, Dufferin Island. 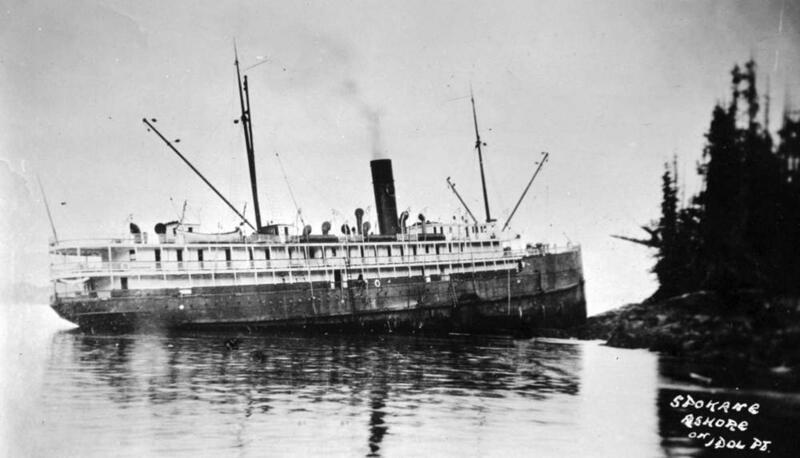 ItemI-32896 - The SS Strathalbyn At Esquimalt After Being Rammed By The SS Virginian In Puget Sound. Item B-04010 - "Spokane ashore"; the SS Spokane aground at Idol Point, Dufferin Island. "Spokane ashore"; the SS Spokane aground at Idol Point, Dufferin Island.